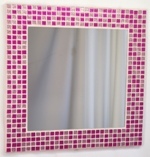 It is made from 416 tiles in 5 colours, with a nominal size of 35cm wide x 35cm high (approx 14 x 14 inches) and a 24cm x 24cm mirror. 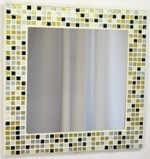 This photo shows the Midas Glitter 35cm Mosaic Mirror, in the Satin Edged format for wall hanging. 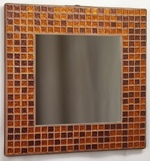 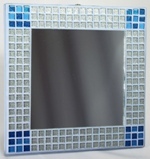 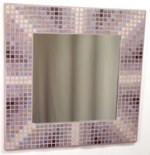 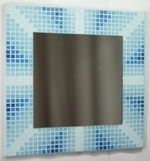 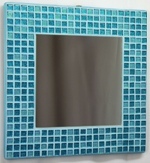 This photo shows the Midas Glitter 35cm Mosaic Mirror, in the Satin Edged format complete with Stand. 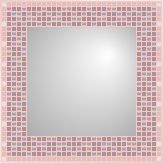 Add a sophisticated sparkle to your decor with this glittering mirror. 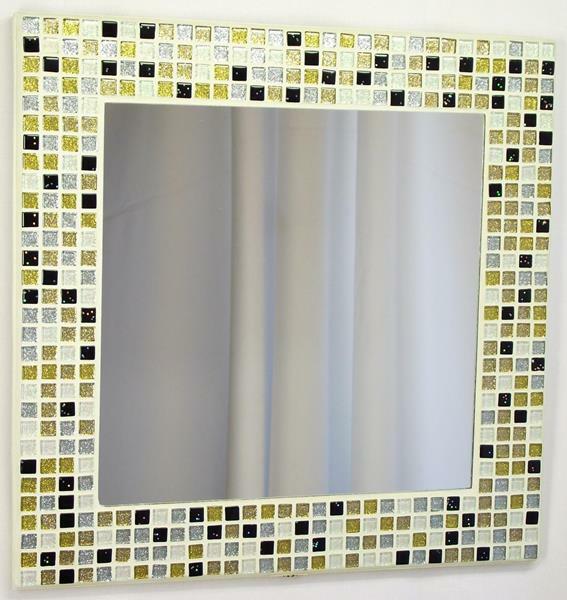 A mixture ranging from a white tile with slightly green tinged glitter and a black tile with a few larger bits of silvery glitter, through a silver glitter tile to a gold tile with silver and gold glitter, to a fully gold glitter tile, with a pale primrose yellow grout. 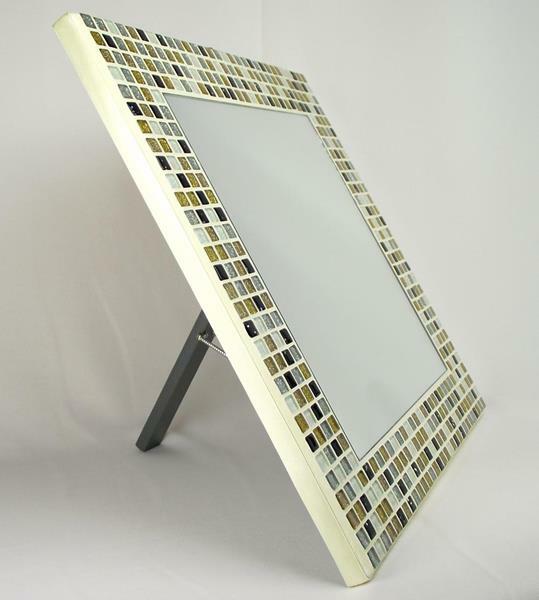 Satin Edge colour: Pale Primrose Yellow. 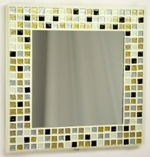 Grout Colour: Pale Primrose Yellow 12YW.